this is the first video of my 3500 gallon ( 25’x9’3′) koi pond/ water garden. I hope you enjoy! fell free to leave any comments or questions and i will get back to you asap. rating and comments are greatly appreciated! Very nice… you’ve giving me some ideas for my pond. Aye, I went to the pond place where they sell everything about the ponds including koi fishs…They measure mah pond n they tell me how many gallons is mah pond. Mah pond is about 2475 gallons! close to 2500 gallons! Yay! Im sorry, yeah you right….i meant feet. Im so dumb….I have no idea why I say inches lol! Yupp feets! Lol, your funny! everything is in feets! Im almost finish digging…tomorrow is my last day to dig cuz today i been digging from 9 am in the morning to 5 pm. =) I will upload mah video of mah pond sooner! also im making pond right now…actually it a wood pond. it 11.7 inches width, 7 inches length. im digging like 3 ft down….plus about 4 more ft up…total is 7ft (from da bottom to the outside). Is that more than 1500 gallons? I need help please….Once I get my pond done…how long will it be ready to put my koi fishs in it? yours is about 12000 gallons… 4.5 feet deeo makes a big difference, plus the added width. if my pond as 4.5 feet deep it would be 8000 gallons… so yours is def not 19000 but 12000. That is so weird, I have been told that my pond is 19,000 Gallons and my pond is 19x19x4.5 feet. How is yours 3500 gallons and mine is 19,000 gallons when mine is only a little larger than yours? “this is the first video of my 3500 gallon ( 25’x9’3′) koi pond/ water garden” its 25 feet long, 9 feet wide, and the average of 3 feet deep. if you buy domestic koi, its not the fish that will be expensive… you could buy a bunch of small $10-$20 koi and they grow quick!. but making the pond suitable for koi is the problem, it needs to be at least 1500 gallons and in there you can only have a max of 5 koi. and make sure its at least 3 feet deep. you also need a filtration rated for DOUBLE the pond size as koi are very messy! Let me know, im here for any questions! What are the measurments in feet? length, width and depth. 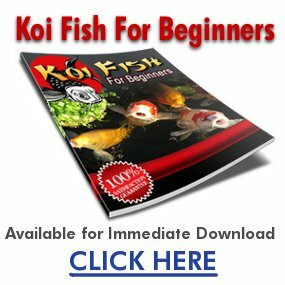 How much does 1 koi carp cost? Good I am glad to here it is over 3ft deep. Good work. I have just built a 4ft deep koi pond but it is not finished yet. Still got the edges to do. Great pond.